Traditional business was done face to face. Well if you are a local company who is looking for SEO services, then noxster will be a perfect fit. Our local SEO allows for you to come into our office and meet us face to face. Meeting the team and company interaction is very important. When working with a local SEO Company you are able to meet all the team members and you aren’t restricted to just phone webinars. What better way to start off your SEO campaign that starting in your own backyard. The quickest way you can expand your business is through the use of Google Maps. At Noxster SEO Company we implemented the same strategies when we first started off, aiming to rank for local keywords: SEO Company Los Angeles, Los Angeles SEO Company, Culver City SEO Company and beyond. You will find that being found locally has a lot of benefits and is usually easier to rank for vs. national keywords. Utilizing our resources will allow you to get your company to be found locally, no matter what city you reside in. With access to 100’s of online directories, and local optimization campaign, you should have no problem being indexed for your local keywords. The new 7 /3 update that Google has rolled out has eliminated 3 positions from the organic section, meaning that your local listings are more important than ever. Google has also implemented a new IP Adress update. This means that depending on where the mobile or store front search is, your location will depend who shows up in your local listings. Google reviews, Google Plus, and traditional SEO tactics are ways in which you can generate a higher ranking in the local listings. Local listings will enable Google’s end users to find companies that they can work with face to face. 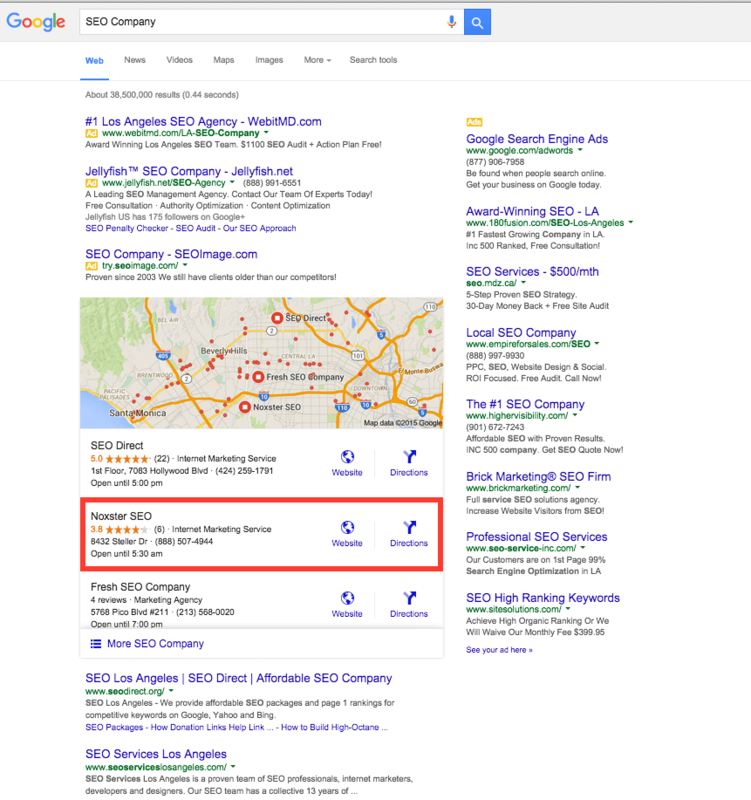 When choosing a local SEO Company in Los Angeles you have to make sure this is integrated within there strategy. We optimize your local listing to start all the information regional consumers are looking for. This list includes but not limited to: services, products, specialties, brands, payment methods, hours, and location. If you don’t already have a Google profile we will make sure we create your business one. It should be your goal to own as much real estate online as possible. It is ideal to own three spots on the Google search engine for 1 key term. Being listed in the maps, organically, and through pay per click, eliminates the changes for your competition to gain potential business. Local search is also an effective way to provide your customer base with information about your business. You will find that the local listings sometimes rank higher than the organic listing, reaching more than 90% of the US consumers that are searching online. The speed at which you can rank on local listings is usually much quicker compared to organic listings and can prove to be useful to drive or increase traffic quickly to your site while utilizing efforts that may take longer times to come to fruition.